Microsoft recently announced that the Game Pass will get every single Xbox first party game on day one going forward, rendering the need to buy Xbox games from retailers moot- at least, for Microsoft published ones. This is a move with profound implications for how games are delivered to customers, because it could end up portending a future where games are consumed entirely digitally, rather than with physical copies sold by middlemen retailers. 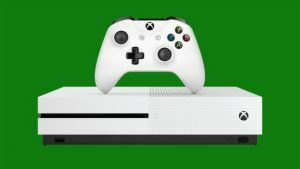 Given that most consoles have very thin margins for retailers, who instead look to make money back on game and accessory sales, a lot of retailers spoke out against Microsoft’s move, with many retailers in the UK and Europe announcing they would no longer stock Xbox consoles going forward. However, in the US, this should not be a problem, according to Mat Piscatella, NPD analyst. Speaking to GamingBolt, Piscatella noted that Microsoft has enough incentives for retailers in the US for them to continue stocking Xbox products for the time being. This does make sense- but going forward, Microsoft may need to think about how it plans to incentivize retailers around the world to continue carrying its products very carefully- especially when this might be at odds with their intended shift to a services focused strategy. Stay tuned for our full interview with Mat in the coming days.